Dave Smith Motors has a long history of being the first to step into new territory since we started in 1965. We were one of the first dealerships to embrace the Internet, and we were one of the first dealerships to start using a one-price model. With our successes in Kellogg, Idaho, we decided to expand into Coeur d’Alene, Idaho and welcomed Maserati and Alfa Romeo to our already vast selection of top brands with top-quality used cars, trucks, vans, and SUVs. Dave Smith Chrysler Dodge Jeep Ram, Dave Smith Chevrolet Buick GMC, Dave Smith Cadillac, Dave Smith Alfa Romeo, Dave Smith Maserati, and Dave Smith Nissan. Dave Smith Coeur d’Alene has hundreds of affordable used cars, lifted used trucks, AWD used SUVs, and commercial used vans. We have used SUVs, sedans, hatchbacks, and 4×4 trucks for sale in our inventory at great prices. With our great selection of AWD SUVs and AWD cars you can find a vehicle that can tackle those snowy Northern Idaho winters. Dave Smith Coeur d’Alene serves customers from all over Northern Idaho including Coeur d’Alene, Hayden, Rathdrum, Post Falls, Spirit Lake, Sandpoint, Bonners Ferry, Lewiston, Moscow, and more. Dave Smith CDA believes in building and maintaining strong relationships with our customers and we enjoy working with our current customers’ friends and families to help them find a new car they’ll love, too. If you are in the Coeur d’Alene area, stop by Dave Smith Coeur d’Alene Used Car Dealership to test drive a vehicle. Dave Smith Coeur d’Alene is your local used car superstore, located south of Exit 13 off I-90 on 4th street, at 2021 North 4th Street, Coeur d’Alene, ID. 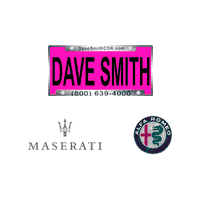 Dave Smith CDA’s Service Department provides exceptional service for all makes and models. We have a great selection of used Toyotas, used Subarus, used Fords, and other great brands and with our state-of-the-art equipment our ASE Certified Technicians are able to service any make and model. Service your car or truck with Dave Smith Coeur d’Alene, from oil changes to alignment, to tire rotation and engine repair, our service department does it all. Schedule your service today! With all of our dealerships, Dave Smith Motors prides ourselves on our Hassle Free Buying* process. Your best deal is given upfront, no back and forth negotiation is needed. We want to make buying a car as easy as possible, so you can get on the road sooner.